At CoMo Power Wash, we provide power washing oil cleanup services that clean indoor and outdoor parking garages as well as fences, walkways, sidewalks, and parking lots. Parking lots and garages contain oil and contaminants. We are expert and skilled with oil cleanup. Here at CoMo Power Wash, we use safe cleaning solutions that do not harm the environment. Removing oil stains will improve an exterior surface making it look clean and safe. Discoloration and unsightly stains on driveways, sidewalks, and parking lots detract from the appeal of the business property. 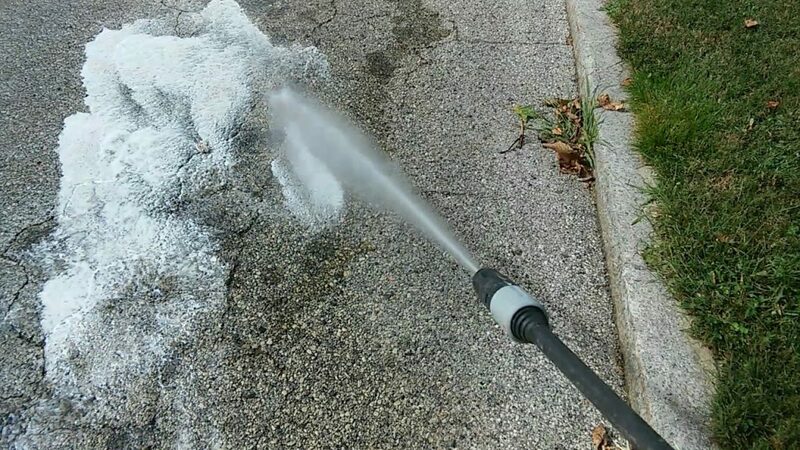 CoMo Power Wash uses pressure washing to remove ugly oil stains caused by leaking vehicles that leave greasy oil spills. When it rains, those oil stains become unsafe walking and driving surfaces. Power washing removes stains creating a safer environment for your business clientele and employees. We safely and effectively clean all types of surfaces including brick, concrete, and asphalt. Pressure washing restores surfaces to look like new. Using environmentally safe cleaning methods and solutions, we eliminate ugly hard-to-remove stains left by motor oil. Call us today to schedule an appointment. We provide a written estimate that we stand behind. We back up our quality work with a satisfaction guarantee. Once the power washing is complete, you will be amazed at how much better your property will look. You will be impressed with the fresh new appearance of your property. Throughout the region, we serve residential and commercial customers. We are proud of our reputation that draws repeat customers.